Are you ready for a recipe that takes less than 60 seconds to prepare, but looks like you spent hours cooking and makes your home smell incredible? Done. Here’s how it all goes down: Place as many chicken pieces as you can comfortably fit into a baking dish. 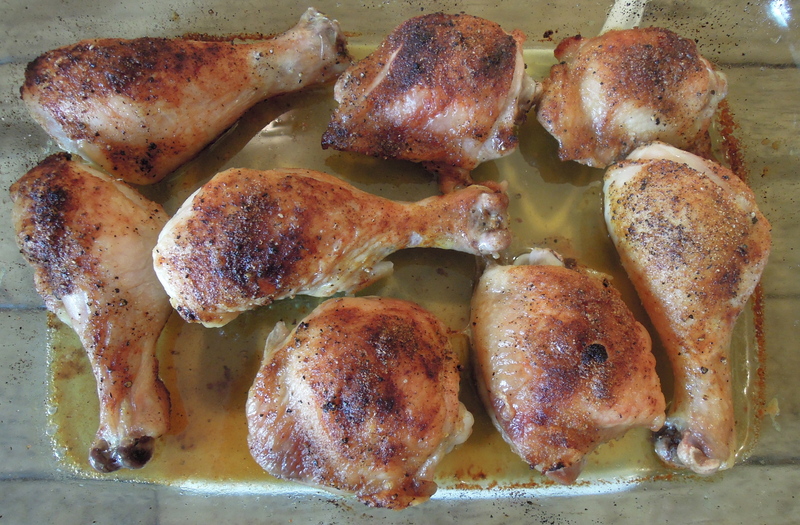 (I used four thighs and four legs, but you can use any kind that you like including chicken breast.) Drizzle chicken liberally with olive oil. Sprinkle (there was no measuring; as a devout measurer I promise you don’t need to) each piece with salt and ground black pepper. Sprinkle each piece lightly with some paprika and garlic powder. Place in a 425 degree oven and cook for 30-35 minutes. That’s it! 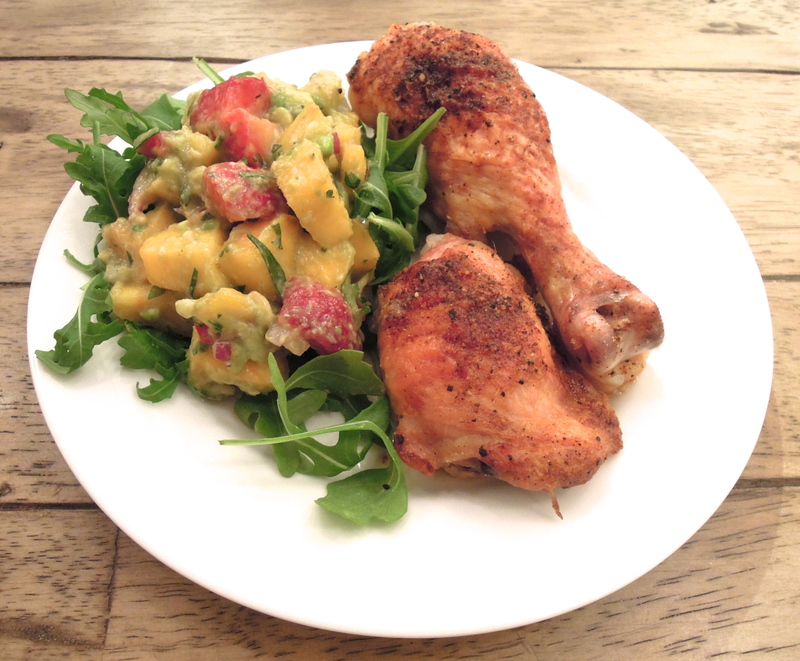 I served the chicken with a mango, avocado, and strawberry salsa* on top of arugula for a light and fresh meal, but the options are truly endless when you start with juicy, flavorful roast chicken. Enjoy! *Salsa recipe similar to this one, plus two mangoes, a handful of sliced strawberries, and chopped cilantro. Preheat oven to 425. Add chicken to baking dish. Drizzle liberally with olive il. Sprinkle each piece with salt, pepper, paprika, and garlic powder. Bake 30-35 minutes until juices are clear. Let sit for about 5 minutes. Serve. This entry was posted in Chicken on April 25, 2013 by Paige Greenfield.